Cat Tales and Paper Trails: Mermaids! 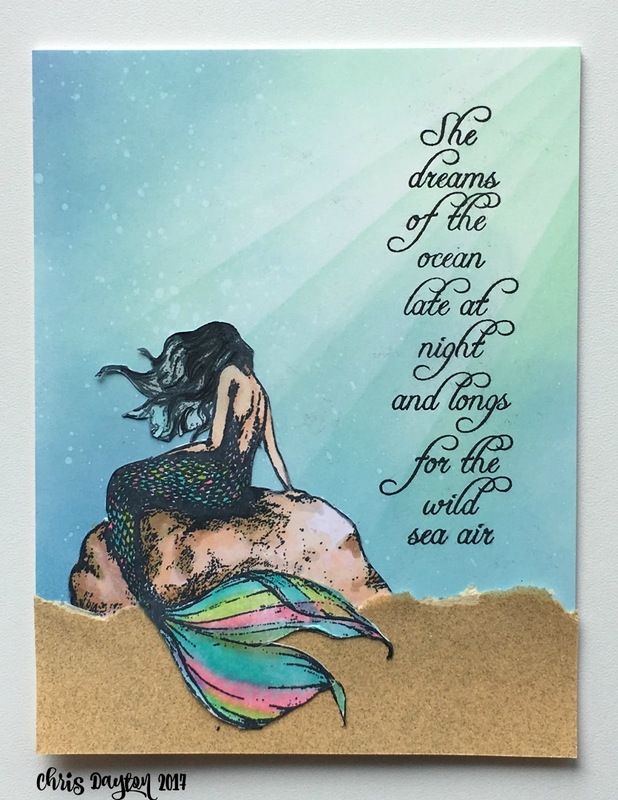 I'm on the Technique Junkies Blog today sharing two cards using the Mermaid on Rock and Wild Sea Air stamps. To pop over to the TJ Blog quickly, click HERE. Here is one of the two cards that I share and describe over on the Team Blog. Love! ......those rays of light! The pop of color in her tail! Lovely!